Description: Veteran Forsyth (The Day of the Jackal) shows once again he’s a master of the political thriller by taking a simple but completely original idea and turning it into a compelling story. The unnamed Obama-like U.S. president, disgusted by the horrors wrought by illegal drug trafficking, decides to bring the entire weight and resources of the federal government against the international cocaine trade. He first declares drug traders and their cartels to be terrorists, subjecting them to new and extensive legal procedures, then he brings in ex-CIA director Paul Devereaux to head the team that will implement the effort. Devereaux, known as the Cobra from his operations days, is old school–smart, ruthless, unrelenting, and bestowed by the president with free rein to call in any arm of the government. Forsyth lays out how it would all work, and readers will follow eagerly along, always thinking, yes, why don’t they do this in real life? The answer to that question lies at the heart of this forceful, suspenseful, intelligent novel. Didn’t capture my undivided attention; it was on in the background and that was where the bland content let it stay. BBC description: Winter settles over the Swedish fishing village of Västerby. Katri offers to run errands for the ageing artist who lives on the outskirts. But what does this strange young woman want in return from Anna Aemelin? 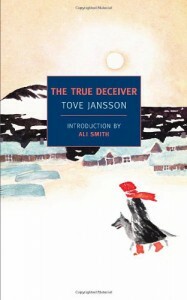 Indira Varma reads from the novel by Tove Jansson. Abridged by Jeremy Osborne. On her very first visit to the rabbit house, Katri identifies just which window will be the window of Mats’ new bedroom. The manipulative skills of the sociopath are very cleverly displayed by Jansson and one cannot help but feel sorry for Anna at the halfway mark. Didn’t like this one at all. Description: 1957, and Lewis Aldridge is travelling back to his home in the South of England. He is straight out of jail and nineteen years old. His return will trigger the implosion not just of his family, but of a whole community. A decade earlier, his father’s homecoming casts a different shape. The war is over and Gilbert has recently been demobbed. He reverts easily to suburban life – cocktails at six thirty, church on Sundays – but his wife and young son resist the stuffy routine. Lewis and his mother escape to the woods for picnics, just as they did in wartime days. Nobody is surprised that Gilbert’s wife counters convention, but they are all shocked when, after one of their jaunts, Lewis comes back without her. Not far away, Kit Carmichael keeps watch. She has always understood more than most, not least from what she has been dealt by her own father’s hand. Lewis’s grief and burgeoning rage are all too plain, and Kit makes a private vow to help. But in her attempts to set them both free, she fails to predict the painful and horrifying secrets that must first be forced into the open. A body in the pond starts this series off. Karen Shields, a down to earth black officer from the Homicide and Serious Crime Command unit, speaks with a thick London patter. At times it reads like a corpse list, meh. A two icicle read. Next! Description: A beautiful and moving memoir where the author retraces walks undertaken by others, from the Highlands of Scotland to the Swiss Alps and Kenya. In 1952 Linda Cracknell’s father embarked on a hike through the Swiss Alps. Fifty years later Linda retraces that fateful journey, following the trail of the man she barely knew. This collection of walking tales takes its theme from that pilgrimage. The walks trace the contours of history, following writers, relations and retreading ways across mountains, valleys and coasts formerly trodden by drovers, saints and adventurers. Each walk is about the reaffirming of memories, beliefs and emotions, and especially of the connection that one can have with the past through particular places. Episode 1: Dancing, Kicking Up Her Legs: The author visits a hillside above Loch Ness following in the footsteps of the Scottish novelist, Jessie Kesson. Episode 2: Baring Our Soles: While walking barefoot through Kenya, the author discovers the connection between feet and politics. Episode 3: In His Footsteps: Today, Linda bravely retraces the Alpine ascent made by her father in 1952 and in doing so discovers some truths about the past and about her relationship with her lost father. Episode 5: Walking Home: Linda Cracknell looks to the future as she walks the pilgrimage route of St Cuthbert’s Way between Scotland and England and as she follows her own footsteps around her home town of Aberfeldy in Perthshire. Sharpen up BBC book selectors!